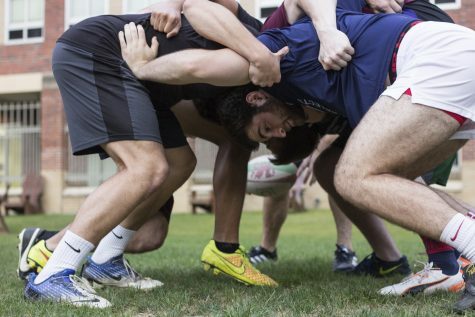 The Loyola Rugby team hosted an Open House for the Calvert Hall High School Rugby team from Baltimore, Md. while they were here for a tournament in hopes to raise Loyola’s recruitment numbers for the next few years. 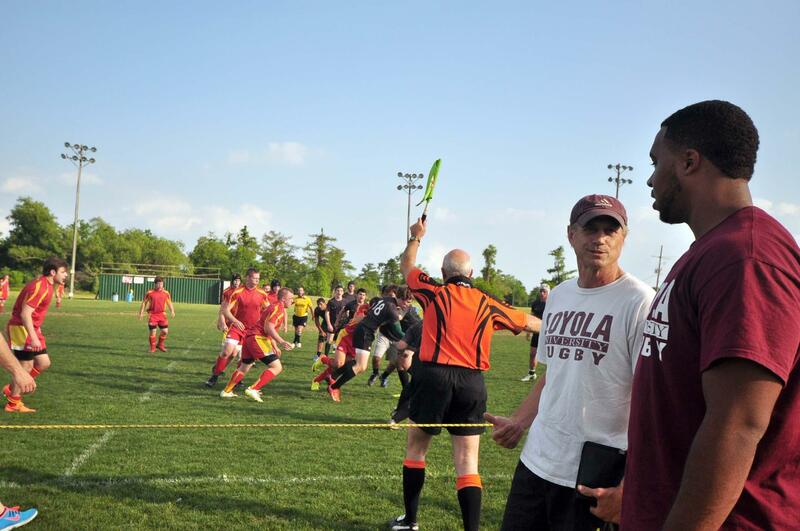 Coach Sam Brock took the high school team on a school tour, as well as having a meeting with Loyola’s president, Rev. Kevin. Wildes, S.J. 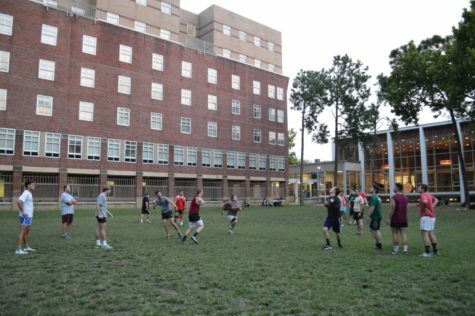 For Brock, this was mainly a recruiting opportunity to try to show the team what college rugby is all about. 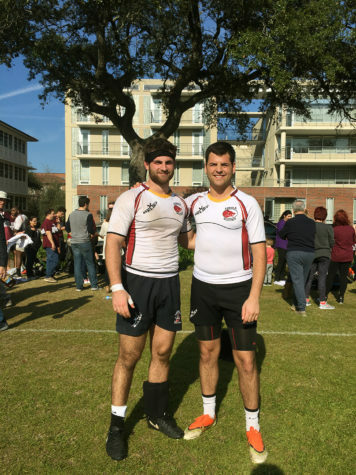 Most of the seniors on the team have decided where they plan to go in the fall, but Brock knows the juniors still have the college decision process ahead of them, and hopes that they will keep this experience in mind and consider attending Loyola to play rugby. “There are about three juniors that seem like they might be interested in Loyola, but it’s still far away in the future for them. But for me, that’s what I want. I want to find my recruits by junior year, and then spend all of their senior year really showing them that Loyola wants them,” Brock said. Head Coach at Calvert Hall, Thomas Fan, said this was a great experience for his players and appreciated everything Brock did for them. 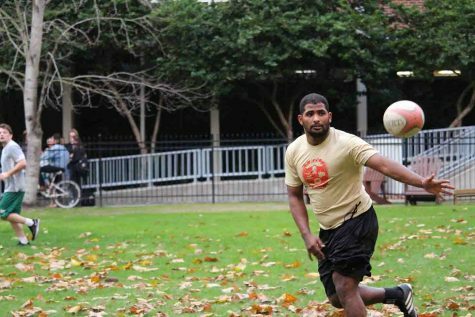 “They definitely keep the rugby tradition where you welcome everybody, in regards to anything, especially if they play rugby. Honestly what we’re hoping for tonight, tomorrow and Friday is to play some teams and play competitively. We’re usually pretty competitive in our area but this is a nice chance to see how we do against teams outside of Maryland,” Fan said. Many of the seniors on the team have decided where they’ll be in the fall, as it is the end of April. 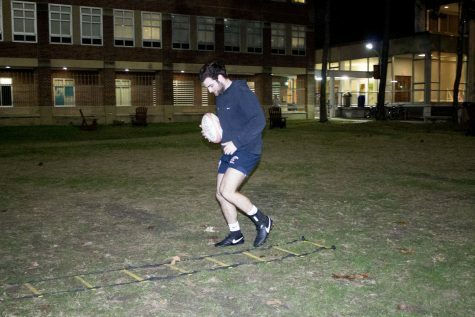 Some will give up their rugby career as they enter college, while others say there is no chance of that happening. 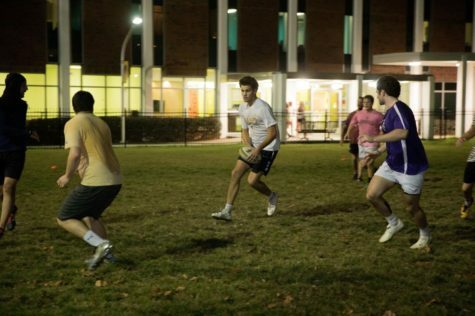 Steve Bullen, senior captain at Calvert Hall, has already decided to attend the University of Delaware, and will be hanging up his cleats due to an inactive rugby program. 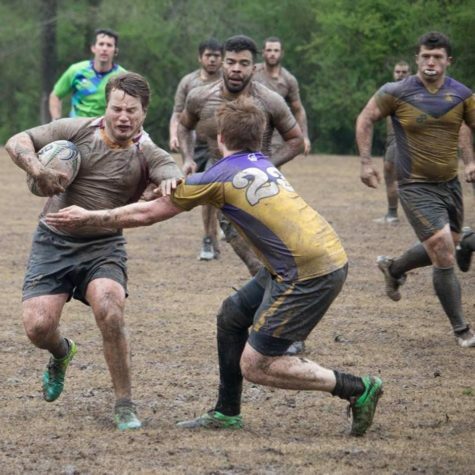 However he said that it was still great to see what collegiate rugby entails. “Seeing these guys sort of motivates me. I want to get to the same level as they are. I know they’re a very good team, and they’ve been very kind to us, very welcoming,” Bullen said. Calvert Hall Junior Chris Stefon said that he has already started looking at schools, and that rugby will be one of the biggest deciding factors. 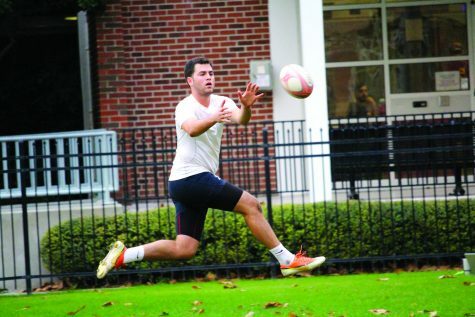 “I’ve been giving college a lot of thought, and rugby will absolutely determine that. But being here was a good experience. Definitely meeting the players was a big thing; they seem like a great bunch of guys, we learned a lot,” Stefon said. The Calvert Hall team will play three games while in New Orleans against other local high schools. For Brock, this is only the beginning of a long recruiting process. With a winning season record and ranked among the top five teams nationally, Brock has a team that would make high school athletes want to come to Loyola. This open house, while catered to Calvert High, will not be the last time Loyola brings high school athletes to campus. The recruiting process is time-consuming, but well-worth it, Brock said.